We have previously written on this blog about all kinds of collectibles that can contain gold, silver, platinum and other precious metals. We’ve explored canes and walking sticks, barware, smoker’s accessories, buttons and medals, and lots more. Today, we’d like to direct your attention to another investment that should be on your radar... Boxes that contain precious metals. Have you ever failed to realize that an old ring, an old lab vessel, or a bit of white metal scrap was made of platinum? If you have, you are not alone. Because platinum is a white metal, it is easy to mistake it for silver or even something as low-end as polished pewter, stainless steel or even aluminum. Here are three facts that can help you recognize platinum more quickly and reliably. People are collecting folding pocket knives, hunting knives, highly stylized custom knives crafted by skilled artisans, ancient knives, and knives that fall into other niches. The question is, do any of them contain silver or gold? The short answer is yes, they do and if you take a close look at an unusual knife, it could contain small decorations and “extras” that are made of silver or even gold or platinum. Here’s a video that shows how a new robot that Apple designed can pull apart an iPhone and separate out its parts. For reasons we do not know, Apple named this robot Liam. According to Apple, just one Liam robot can recycle 1.2 million iPhones a year. You have probably seen niello without knowing what it was. It looks like black enamel that has been painted into the indentations around geometric patterns on the surface of decorative silver belt buckles, goblets, candlesticks and other objects. But niello isn’t paint. It is actually a compound made of silver, sulphur and other chemicals. If you go shopping at antique malls or estate sales, you will discover a number of items for sale that are made of gray metal. How can you tell if they are made of silver, white gold or platinum? On average, quarters minted in 1964 or before contain 18% pure silver that is worth more than $3.25. In 1984, everything changed. That was the year when the U.S. Mint started making copper-nickel clad quarters for circulation. They contain no silver. Silver salts and compounds are used in an unusually wide selection of products that include pottery glazes, antiseptics, photographic materials, and more. Specialty Metals Smelters and Refiners will be pleased to test and recycle your silver salts and pay you for the silver that they contain. But before you call us to discuss what you have, let’s answer a few basic questions about this very versatile family of chemical compounds. What Kind of Silver Compounds Can You Recycle with Us? Silver bromide and bromides – These yellow-colored, insoluble soft salts are widely used in photographic film and materials and their manufacturing. You can find them in developing solutions, film, and light-sensitive papers. If you have reserves of chemicals from a company that manufactured those materials or if your company once did, you could have a quantity of those compounds that is worth recycling. Silver chloride and chlorides - These white-colored crystalline solids are most commonly found in silver chloride electrodes that are used in the production of photographic film and materials and in other industrial processes. Yet the compound has many other applications too. It is used for glazing pottery, coating optics, and even as an antimicrobial agent that is used in bandages and commercial deodorants. If you were involved in the production of any of those products, or have acquired a company that was, you could have quantities of silver chloride. Silver nitrate – This compound has a colorful history. It was a favorite of medieval alchemists, who thought that it might be able to turn compounds of base metals into gold. That idea probably arose because silver nitrate dissolves the silver in gold/silver alloys, leaving only the gold behind. (Albertus Magnus observed that happening and wrote about it in the 13th century.) In the centuries that followed, silver nitrate was put to many uses as a disinfectant. At one time, eye drops that contained it were routinely dripped into the eyes of newborn babies to prevent infections. It was also widely used to prevent infection in wounds. Those practices largely disappeared with the development of modern antibiotics, but silver nitrate is still used in topical antiseptics like chlorhexidine. If you have been involved in the production of antiseptics or have acquired a company that was, you could own valuable quantities of silver nitrate. How Much Are Your Silver Salts Worth? Because silver salts contain different quantities of silver, we need to test them before we can tell you how much silver they contain. If you have a quantity of them and would like a top silver refinery like Specialty Metals Smelters and Refiners to test them, please give us a call at 800-426-2344. Let’s Get Wet: What Liquids Contain Valuable Precious Metals? As you have read on this blog before, many precious metals that are in demand in America are not mined here. When they are imported into the United States, they are subject to import tariffs. If you want an overview of what those tariffs are, you can learn more in a government document entitled The Harmonized Tariff Schedule of the United States. Tariffs affect the prices of precious metals in many interesting ways. The bottom line is that high tariffs increase both the cost and the market value of imported metals. If a tariff is added to an imported metal like silver, that pulls up the market value; the value of metals that are not imported, but recycled and refined, rises too. Just a few days ago, the Indian government reduced the tariff on imported gold from $424 US to $408 US for 10 grams of gold. It also cut the import tariff on silver from $650 US to $617 US per kilogram. Interestingly, gold is the second most important import to India, second only to petroleum. 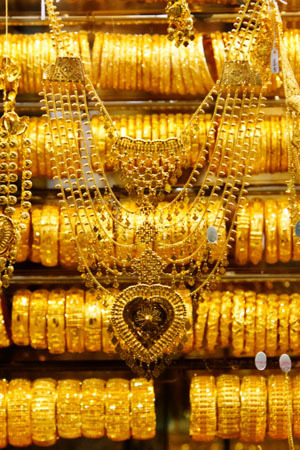 The growth of the middle class in India has created rising demand for gold jewelry. Bear in mind that changes in overseas markets can affect prices in America too. In our global economy, what happens in one country affects prices and consumer behavior in other countries too. Those effects can be quite complicated. If tariffs on gold imports in India fall, for example, that can trigger new buying in that country and cause a ripple effect in other countries. For example, if India suddenly wants to buy all the gold it can on the international market, that can cause per-ounce prices in America to rise. What Is the Best Time to Sell or Buy Precious Metals? If you have quantities of precious metals – silver, gold, palladium, cadmium - that question is the most important one that you should be asking. Be sure to visit our home page to know, on a day-to-day basis, the current values of the metals you have. When you think about recycling precious metals, you probably think first about gold, silver, and platinum. That’s good thinking. If you have items that contain those metals, you could be sitting on a lot of money. But have you also stopped to ask whether the items you have on hand contain quantities of silver cadmium oxide? It is often overlooked – it is easy to overlook – but it can contain quantities of silver and cadmium that are quite valuable. Where Can You Find Cadmium Silver Oxide? Short answer. If you own almost any kind of electronic scrap, you probably own quantities of silver cadmium oxide. It is widely used in motors, switches, relays, and electrical contacts. Why is Silver Cadmium Used in Electronic Devices? Silver cadmium oxide is used because it possesses two seemingly contradictory positive traits. First, it is a very good conductor of electricity. Second, it is arc-resistant (it inhibits the tendency of electricity to arc between contacts when they are open). Those two traits make it an ideal material for use in switches and other applications, especially where high electrical loads are present. What Will My Scrap Look Like? Silver cadmium oxide can be found in old electrical-powered manufacturing equipment like motors, switches, relays, and brazed contact assemblies. But it is also found in materials that are used to manufacture those items – materials like silver-cadmium oxide wire, sheets, strips and tapes. How Much Cadmium Is in My Scrap? The answer is, it depends. Silver cadmium oxide contacts generally contain between 10% and 25% cadmium. How can you tell what you have? Send us a sample of what you have for testing. Call us at 800-426-2344 to learn more. 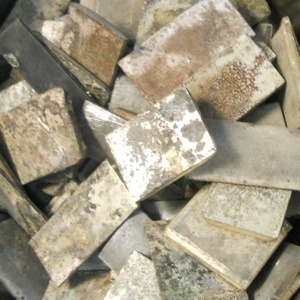 If you’re already using silver recovery columns in your production processes, you know what they are and what they do – they extract the silver from liquids and return it to you as a metal that you can sell or recycle. You might not know, however, that silver recovery columns are used in a lot of industries, including . . .
Photo of used silver recovery columns sent to Specialty Metals for the profitable extraction and recycling of the electrolytic silver flake residue they still contain. Even if you are in an industry that uses silver recovery columns, here’s an interesting fact. When they have outlived their effective life in your operations, the recycling columns themselves can be recycled. In effect, you’ll be recycling your recycling device. You will be pleased to know that these devices themselves, once they have outlived their life as recycling devices, still contain valuable quantities of electrolytic silver flake. We know this is the case because here at Specialty Metals Smelters and Refiners, we recycle hundreds, if not thousands, of recovery columns every year. As America's best silver refiners, we have the knowledge, skills, and technology in place to extract every valuable ounce of silver from your used units. Call us at 800-426-2344 to learn more. What will you find if you go to eBay and search for “gold,” “platinum,” “silver,” and other precious metals? It’s an interesting and potentially valuable experiment that can lead you to discover sources of precious metals that weren’t on your radar. Here are some of the surprising items that we found . . . Some results of our eBay Search for Gold . . . Some results of our eBay Search for Silver . . . Some results of our eBay Search for Platinum . . . The virtual “field trip” that we took to eBay to search for precious metals turned out to be worthwhile. We had never stopped to think that old fountain pen nibs could be made of platinum, for example, or that covers for Zippo lighters were made from gold and silver. And what about gold-plated covers for Kleenex boxes? Interesting, right? And possibly valuable too. If you own an antique store or are cleaning out a house, doing your own search on eBay could help you discoverer items that could be more valuable than they appear. If you’re involved in mining, smelting, refining – or any process that has to do with metals – you’re using techniques developed by a Georgius Agricola, a German scientist who is often called the father of metallurgy. His book, De Re Metallica (“On the Nature of Metals”) was published in Latin in 1556, a year after he died. Georgius described techniques of mining and smelting in such a practical way that the book remained a standard handbook for nearly 200 years. This guy was ahead of his time. In fact, all of us in the metals business are still doing a lot of the things that he wrote about, including . . . Smelting ores to extract the metals they contain. Finding veins of precious metals like gold and silver in rock and underground. Separating gold from silver, lead from gold or silver, and silver from copper. Surveying mine sites and safely digging mine shafts. Selecting the right tools and machines to extract ore from mines. Extracting, crushing and washing ores from mining concentrates. Agricola’s real name was Georg Bauer, which means “George Farmer” in German. But he used the name Georgius Agricola – which means the same thing in Latin - when he published his book. Back in the sixteenth century, Latin was the language of scientific discourse. In 1912, the first English edition of De Re Metallica was published in London. One of the translators was none other than Herbert Hoover, a mining engineer who later became president of the United States. You can still buy a copy of his translation in a modern edition from Dover Books. If you’re involved in mining or recycling precious metals, Georgius Agricola still has some lessons to teach you, even though he died way back in 1555. It’s all part of the colorful history of precious metals recycling. Thanks for joining us for this little history lesson today. Do you own a photo processing lab with inventories of new and developed film, photographic paper, and developing chemicals? 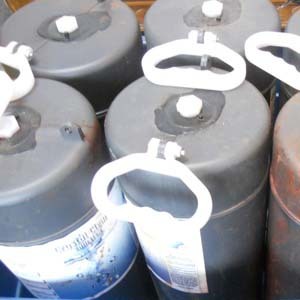 Those supplies contain silver that can be extracted and refined. How much silver? We just discovered a very useful report that can help you know. Can you spot the silver in this photo of a photographer processing film and making prints? It’s everywhere: in the paper, the chemicals, and the film, and Specialty Metals can help you recycle it all profitably. Back in 1998, Kodak published a report entitled “Sources of Silver in Photographic Processing Facilities.” (Click here to download the PDF.) It dates from the time before digital photography became the preferred way of taking pictures, but it still contains useful guidelines about sources of silver in photo labs. It was intended to help high-volume photo labs – labs that were developing thousands of rolls of film a day – determine how much money they could recoup by recycling their materials. The report still offers some great insights on extracting silver from film and other photographic materials. Here are some highlights . . . Photographic papers and films are the biggest source of silver in photo labs. Used photo-processing chemicals – the solutions that are used to develop film – also contain quantities of silver that can be recycled. It’s because those solutions remove quantities of silver from the films they are processing. That silver remains in the used solutions and can be extracted. Different kinds of films contain different quantities of silver. The Kodak report states that 1,000 square feet of Kodak Gold Film contain four troy ounces of silver, for example, while 1,000 square feet of Kodak Royal Gold 400 film (a “faster” film with a higher ISO rating) contain only 1.1 troy ounces of silver. It takes a lot of rolls of 35mm film to make up 1,000 square feet; however, the report contains useful tables that help you calculate how many square feet of film can be found in films of different formats and sizes. If you’re in the business of processing photos, think “silver.” Even in this age of digital photography, that metal is an integral part of printing photos. Valuable quantities of electrolytic silver flake could result. Also, recycling your used and unused chemicals and papers to extract the silver that they contain could be a profitable activity for you. Do you use a metal detector? Are you thinking about buying one? If you’re not involved in the hobby, perhaps you should be. And if you do start detecting, keep our number handy - 800-426-2344 - because lots of hobbyists are pulling valuable quantities of silver and gold out of the ground. Once they find precious metals, they need a top precious metals refinery like us to tell them just what they have. If you’d like to read about some finds that detector hobbyists are making, visit MineLab.com and read the success stories you will find there. And if watching this video inspires you to go hunting for gold, please keep us in mind for smelting and refining any gold you do dig up. Did you just inherit a collection of rare coins? If so, congratulations. You could have a very valuable asset in your possession, especially if the collection includes real silver coins. The problem is, you can run into a lot of pitfalls – not to mention dishonest people – when you try to determine what the collection is worth. Especially if your coins contain precious metal like silver or gold. Here are some guidelines to follow. If you do, you could accept a low-ball offer, or a dishonest one. Instead, have a qualified rare-coin appraiser look at your collection. You can find one through the American Society of Appraisers at 800-ASA-VALU or through the American Numismatic Society at 212-571-4470. The appraiser should not be a dealer – that’s a conflict of interest – and if he or she offers to buy your collection or several coins from it, you should consider that a “red flag” and seek advice elsewhere. Once you have an expert, impartial opinion of what your collection is worth, you are in a position to make some smart choices. If you have some coins that are especially valuable, i.e., $500, $1,000 or more, consider selling them through a well-respected auction gallery like Sotheby’s in New York, at 212-606-7000. When you speak with auction houses, ask about the prices they have gotten for similar coins that they have auctioned in the past. If you have some less valuable coins that should command prices in the range of $20 to $100 or a little more, you can take them to a coin dealer and see whether he or she makes you an honest offer for them. You can also look for similar coins on eBay, review their selling prices, and sell your coins there. If you have coins that are relatively low in value – most often, these are coins that have low collectible value but which still contain quantities of silver – consider sending them to a qualified silver refinery like Specialty Metals Smelters and Refiners so you can get paid for the silver that they contain. Call us at 800-426-2344 to learn more. Photovoltaic solar panels that generate electricity might seem like a new technology. But the fact is, they have been in widespread use for more than a decade now. Whether you’re a business that installed solar panels to lower your energy costs, a company that manufactures solar panels, or even a homeowner that jumped on the solar bandwagon early, If you’re replacing your old solar system with a new one, don’t toss your old panels away or – worse – let your installer take your old panels away. They could contain valuable quantities of silver that you can recycle. Here’s what you need to know. Many newer inexpensive panels are “thin-film” models that contain very thin layers of cadmium telluride, not silver. Interestingly, they are not very efficient at converting sunlight into electricity, but their lower cost appeals to many buyers. The cadmium telluride that they contain has usually been applied by using sputtering targets, which we have discussed often on this blog in the past. More expensive new panels, and almost all older ones, use “thick-film” technology. In other words, they contain relatively thicker layers of silver. These panels are more efficient at converting sunlight into electricity, but their cost is higher. How Much Silver Could Your Thick-Film Solar Panels Contain? It depends, but a used thick-film solar panel could contain as many as 13 troy ounces of silver. With current silver prices hovering at about $20 per troy ounce, the silver in each of your panels could be worth as much as $160. The trick is to speak with Specialty Metals Smelters and Refiners, America’s leading silver refinery, to learn more. If you give us a call at 800-426-2344, we’ll be pleased to explain how you can convert those flat solar panels into cold, hard cash.